SELECT Preheat on the Cosori Air Fryer, adjust to 400°F, and press Start/Pause. 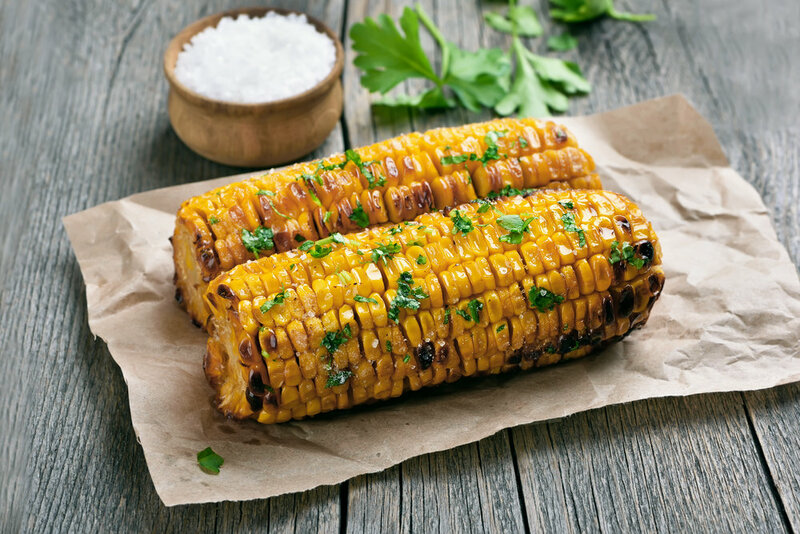 BRUSH the melted butter all over the corn and season with salt. PLACE the corn in the preheated air fryer. SELECT Root Vegetables, adjust time to 10 minutes, and press Start/Pause. FLIP the corn halfway through cooking (the Shake Reminder function will let you know when! ).